Start with quality, destination will be excellence. 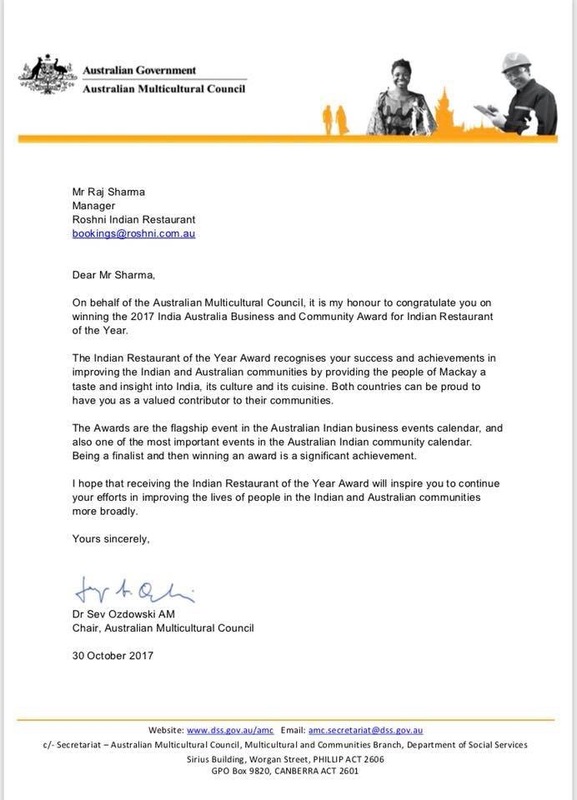 Roshni Indian Restaurant has been awarded a Readers' Choice for 2019! IABCA provides a platform for outstanding businesses, professionals and community leaders to showcase their migrant success stories to a national audience. 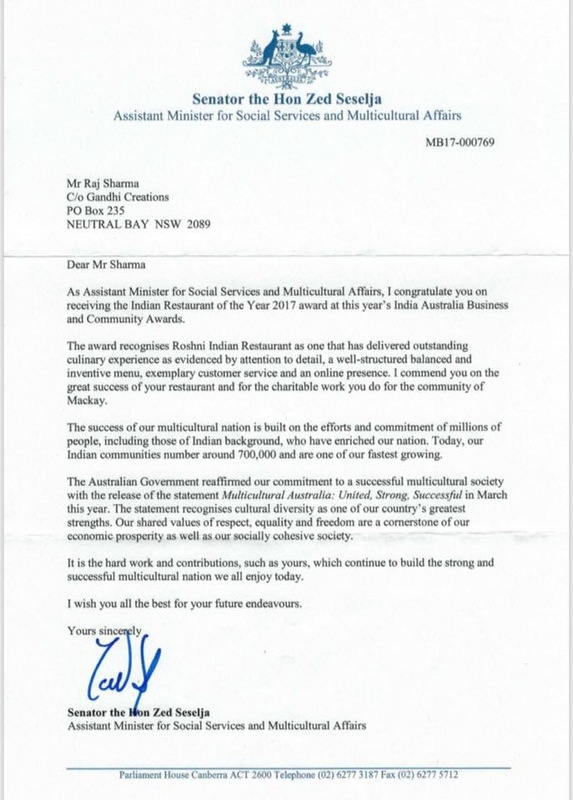 The awards platform is a welcome sign of how far relations between India and Australia have come, raising awareness of Australians in India and Indians in Australia, in a way that encourages growth in relations between the two countries. The focus is to recognise and enhance the increasing role of migrants who are contributing to the economic and cultural identity of Australia, with broader objectives of enhancing international trade and investment, cultural and ideological exchange, and promoting a greater degree of understanding between the two nations. 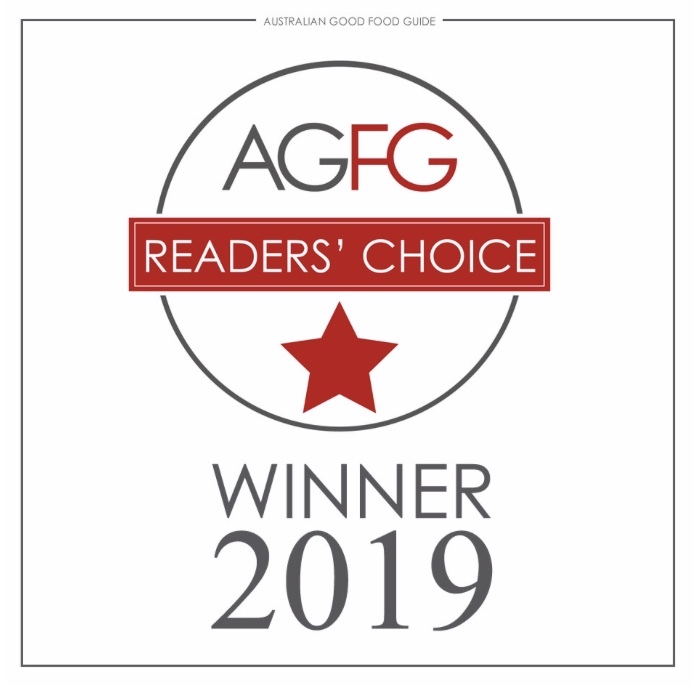 AGFG Readers' Choice Awards are designed to give the Australian public the opportunity to vote for their favourite establishments throughout the year. Each establishment listing has a ‘Vote Now’ button. The establishment with the most votes in their respective category and region will win a Readers' Choice Award. The award is broken up by establishment type and region. 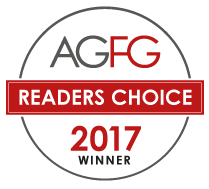 Each region has a maximum of six Reader’s Choice Award winners, one per establishment type: Restaurants, Accommodation, Wineries, Bars, Attractions and Providores. Where insufficient data is collected for a particular category, no award is allocated. 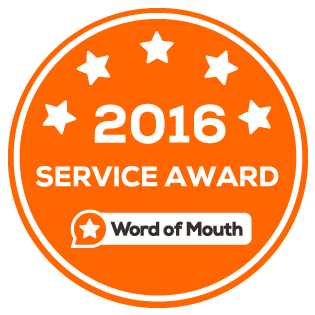 Roshni Indian Restaurant won the 2016 Word of Mouth Service Award. The Word of Mouth Service Awards are designed to help consumers find great businesses and also to honour those businesses that consistently provide outstanding service! To receive a Word of Mouth Service Award, the criteria includes: 1. A minimum number of 4 or 5 star reviews entered during the year from Word of Mouth members. 2. More than 90% of the reviews being positive. 3. The absence of any unscrupulous activity associated with the business account. If your business receives this award, it’s a fantastic achievement! Less than 5% of all businesses listed on Word of Mouth qualify for the award! Roshni Indian Restaurant won the 2016 Word of Mouth Service Award. The Word of Mouth Service Awards are designed to help consumers find great businesses and also to honour those businesses that consistently provide outstanding service! To receive a Word of Mouth Service Award, the criteria includes: 1. A minimum number of 4 or 5 star reviews entered during the year from Word of Mouth members. 2. More than 90% of the reviews being positive. 3. The absence of any unscrupulous activity associated with the business account. If your business receives this award, it’s a fantastic achievement! Less than 5% of all businesses listed on Word of Mouth qualify for the award! 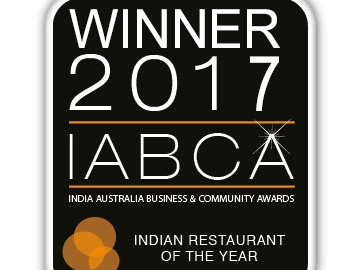 Roshni Indian Restaurant won the 2017 Word of Mouth Service Award. The Certificate of Excellence honours hospitality businesses that deliver consistently great service. This designation is given to establishments that have consistently achieved great traveller reviews on TripAdvisor over the past year. Establishments earning the Certificate of Excellence are located all over the world and have continually delivered superior customer experience. To qualify for a Certificate of Excellence, a hospitality business must: 1. Maintain an overall TripAdvisor rating of at least four out of five. 2. Have a minimum number of reviews. 3. Have been listed on TripAdvisor for at least twelve months. 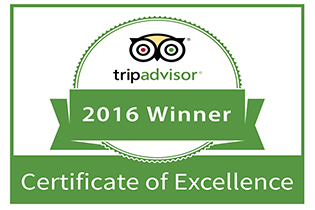 Roshni Indian Restaurant won the 2016 TripAdvisor Certificate of Excellence Award. The Certificate of Excellence honours hospitality businesses that deliver consistently great service. This designation is given to establishments that have consistently achieved great traveller reviews on TripAdvisor over the past year. Establishments earning the Certificate of Excellence are located all over the world and have continually delivered superior customer experience. To qualify for a Certificate of Excellence, a hospitality business must: 1. Maintain an overall TripAdvisor rating of at least four out of five. 2. Have a minimum number of reviews. 3. Have been listed on TripAdvisor for at least twelve months. 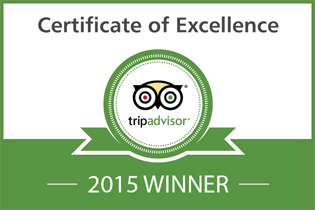 Roshni Indian Restaurant won the 2015 TripAdvisor Certificate of Excellence Award.